Durable as made of stainless steel. Help to trim wicks more easily. Avoid walls and windows blurred by soot. Also good to lengthen the life of your candle. wife loved it so much (cause it works well, and extends candle life) I had to get one for each daughter. a bit pricey, but worth it. exactly what I was looking for. 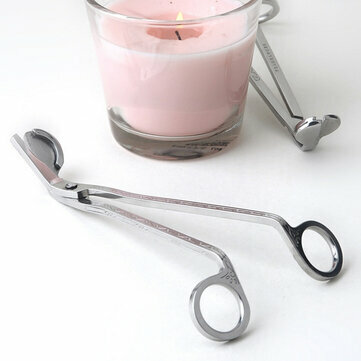 works perfectly to trim wick and keep parts out of candle. gonna buy one for everyone I know that uses candles!! !